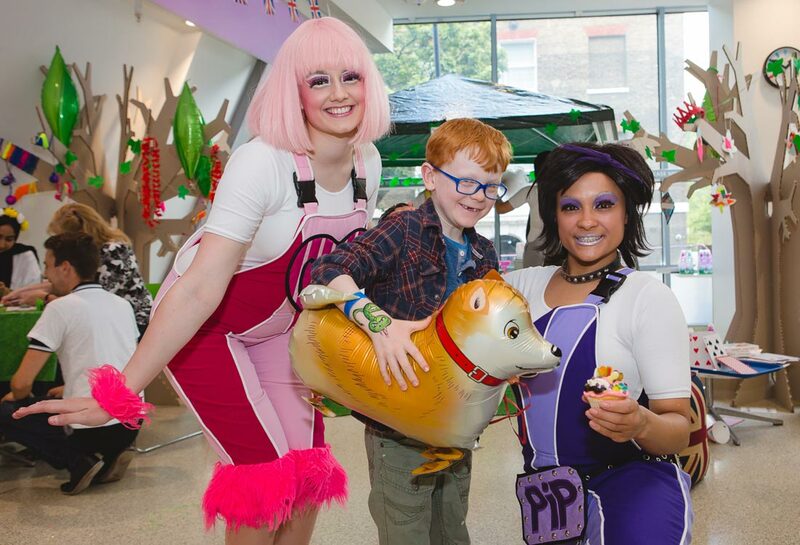 Welcome to the annual Great Ormond Street Hospital (GOSH) Summer Party; an exciting, magical day brought to the children at the hospital by the GOSH Charity. This year’s theme took on a truly royal splendour as the walls were lined with Union Jack bunting, balloons and flags in celebration of the Queen’s 90th birthday. 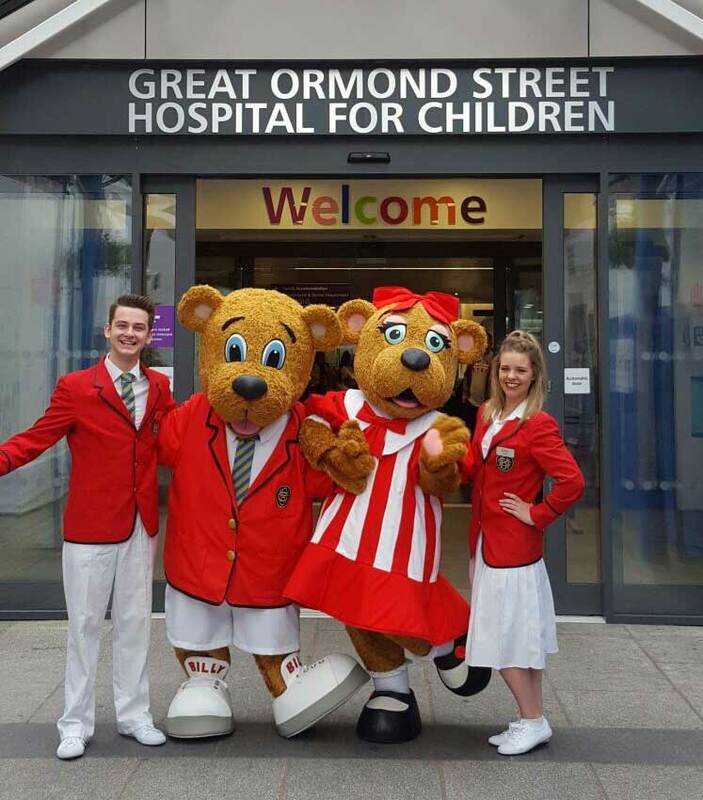 As some of the children were too poorly to attend their local street parties, the GOSH Charity, some Butlin’s Redcoats, Magicians, the Skyline Gang and Billy & Bonnie Bear brought the party direct to them. Bursting with their usual copious amounts of energy and enthusiasm, the Butlin’s gang joined in the royal fun from cupcake and crown decorating (perfect for the princes and princesses of the hospital) to playing games, and teaching some of the younger patients how to spin plates. The rooms were filled with smiles and laughter (and the odd happy tear) as Billy & Bonnie and a few of the Redcoats took off to bring the party spirit to some of the wards where the children were unable to leave. A particular highlight of Billy Bear’s day included visiting the Bear Ward and checking if the bear facts on the walls were correct… which of course they all were! 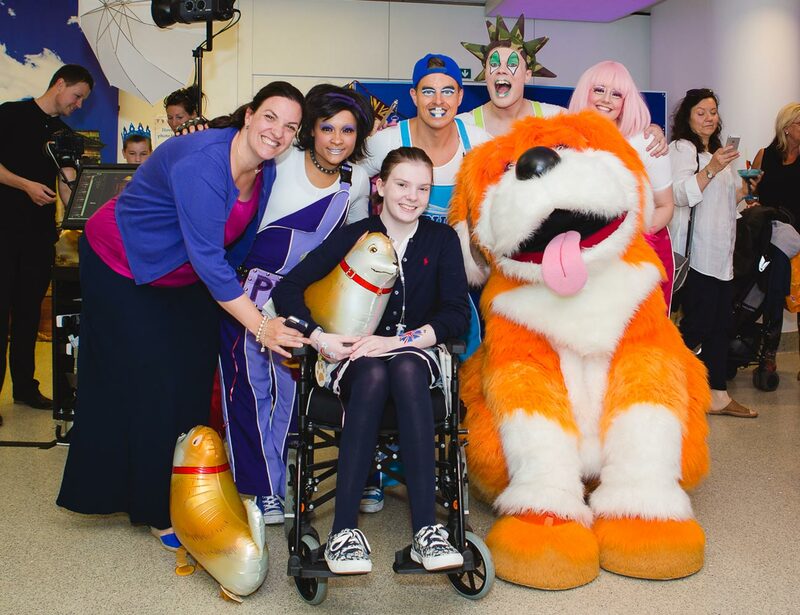 The annual GOSH Summer Party is something our team really look forward to. We get to spend time with the lovely patients, families and team at Great Ormond Street which reminds us again and again of why this charity means so much to us, and has done since our relationship begun 80 years ago. There’s always time to stop for a photo, even at a party! And the party didn’t stop there. 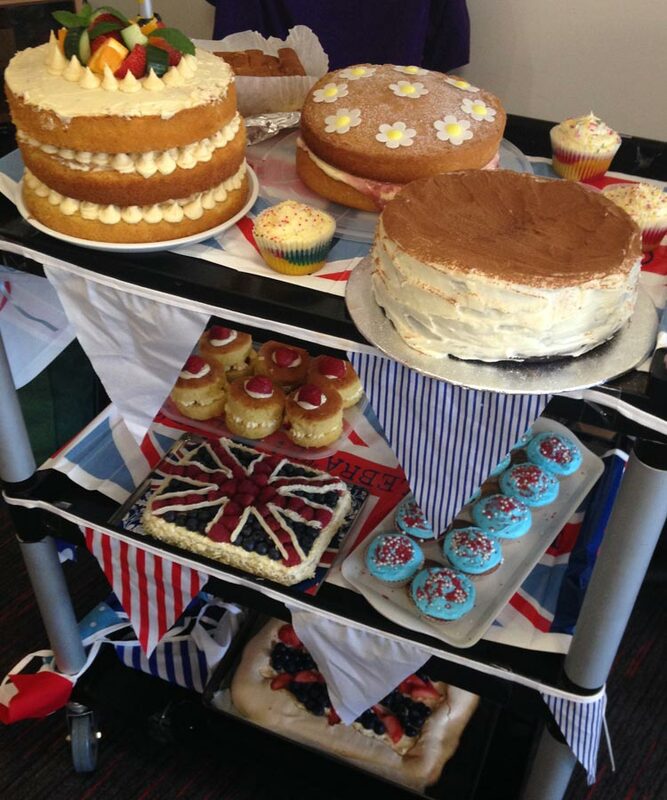 Back at the Butlin’s Hemel Support Centre, the team were celebrating the Queen’s birthday with a delightful tea party. From sausage rolls to classically British cucumber sandwiches and mini scones, our tables were adorned with picnic food in all its glory. Whilst many feasted on pork pies and cheese, sipping on pink lemonade, the atmosphere grew ever so competitive as we begun a ‘friendly’ game of music bingo, keeping an eye on each other’s score cards as we dashed to and from meetings and toilet breaks. Not forgetting for a second that the whole day was in aid of raising money for GOSH (and Lizzy’s birthday, of course), lots of the team also arrived armed with beautiful cakes to take part in the Butlin’s British Bake Off. A variety of pavlovas, cupcakes, little and large Victoria Sponges, a rhubarb cake, a Pimms cake and even a Guinness cake lined the tables waiting to be judged by our MD and cake expert, Dermot King. Each cake was awarded points based on its British appearance, use of British ingredients and intricacy of the bake (no taste testing was involved which I think pleased a few of us!). 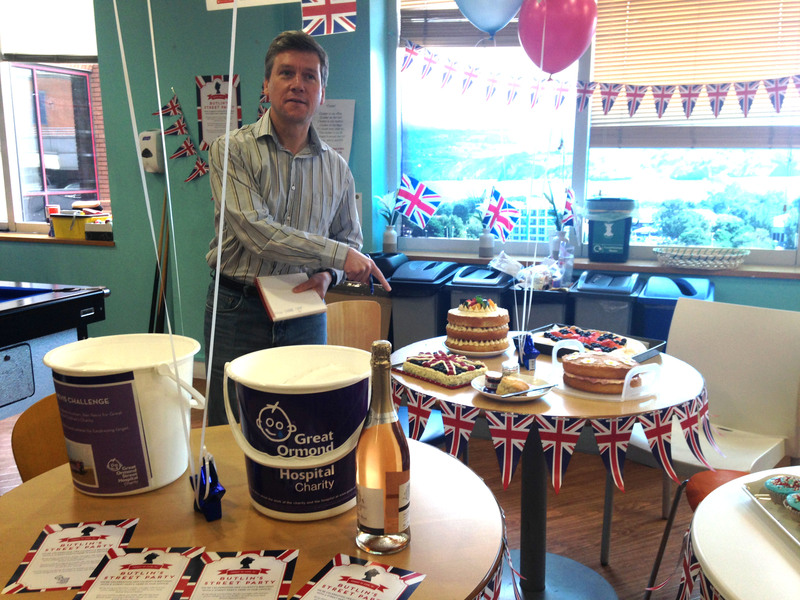 In true Butlin’s style, we declared the winners and proceeded to slice up the cakes, served with tea of course, and continued to fill up our GOSH buckets with donations. I’m certain that everyone that took part in these brilliant celebrations would agree when I say we all had a truly magical day. Whether decorating befitting royal crowns with the Redcoats, starting a conga line on a GOSH ward, or handing out paper plates, we raised money to help and support the amazing work that goes on at Great Ormond Street Hospital, as well as putting lots of smiles on lots of faces! A day truly well spent.